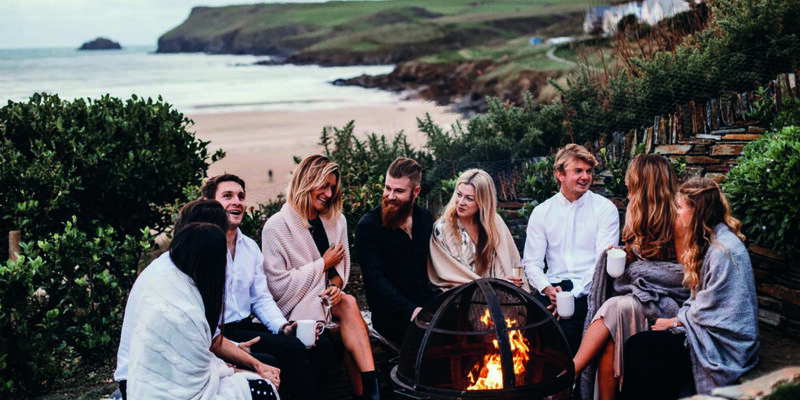 A salt-kissed clifftop hideaway perched above the golden sands of Polzeath beach. 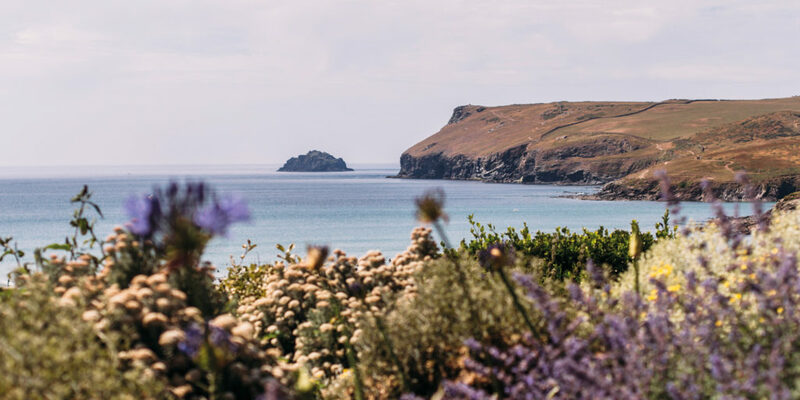 Recently awarded ‘Self Catering Accommodation of the Year’ at the Cornwall Tourism Awards, Carn Mar provides the ultimate coastal escape for you and your family. Sleeping 14, the living spaces at Carn Mar are as varied as they are sublime. Most striking perhaps is the breathtaking outline of an architect-designed staircase, which sweeps impressively up to the top floor. Not to mention the statement double glass-fronted log burner, which sits between the lounge and the dining area, creating a warm and welcoming atmosphere. 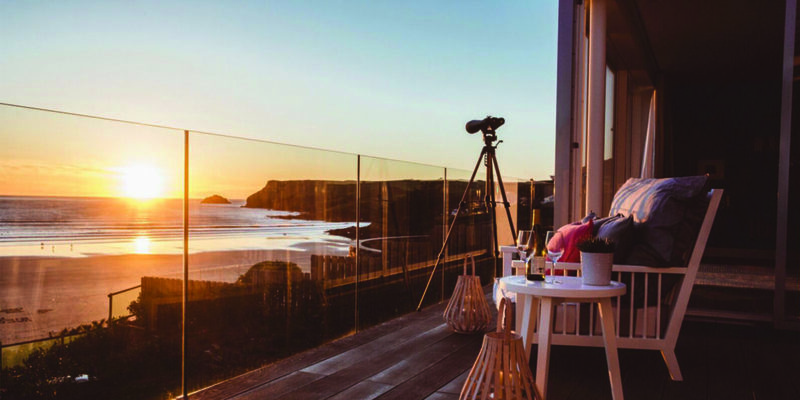 Carn Mar enjoys a dreamy backdrop of sea and sand from almost every vantage point in the house, so whether you’re dolphin spotting from the telescope in the reading room or lazing on the balcony, the view is bound to take your breath away time and time again. 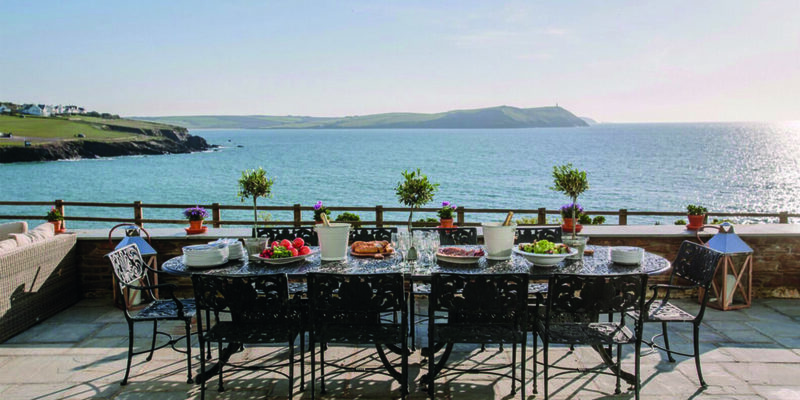 Polzeath sunsets are legendary and Carn Mar provides a front row seat, allowing you to sit on the balcony, relax and take in the beautiful combination of red, pink, purple and golden hues as they reflect gently off the water. 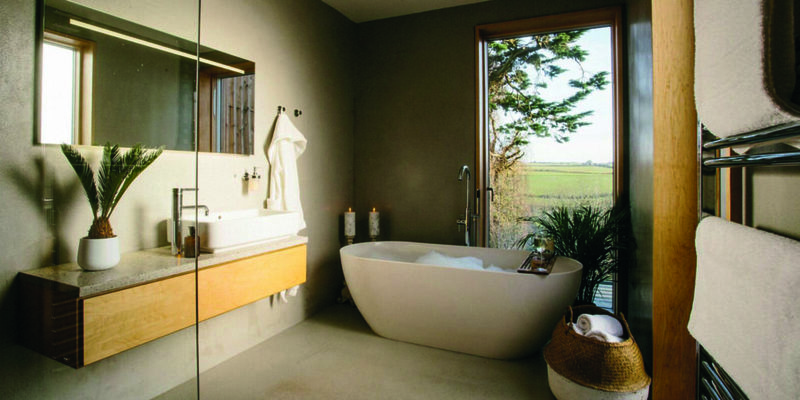 Take the opportunity to enjoy a luxurious bubble bath in the fabulously chunky freestanding bathtub, then open up all the curtains to the beach and fall asleep under the stars in your luxurious double bed. With six tranquil bedrooms, almost all benefitting from panoramic views, there will be sweet dreams all round. Outside, a beautifully manicured infinity lawn softly melts its way into the ocean beyond, with colourful blooms and tropical succulents filling the landscaped flowerbeds. And to the back, you’ll find the sheltered morning terrace – an oasis of calm on windier days, and the perfect place to enjoy a glass of bubbly on an evening. The wooden gate at the bottom of the garden leads straight onto the South West Coast Path, making beach access a breeze. 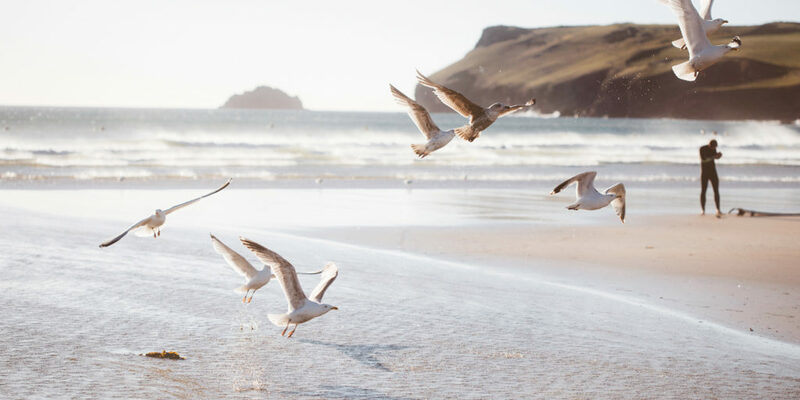 Polzeath is renowned for its fantastic surf conditions and collection of high-quality surf schools. And at Carn Mar all you need to do is look out of the window to assess the conditions, making it the ideal base for enjoying the white rollers of Polzeath. 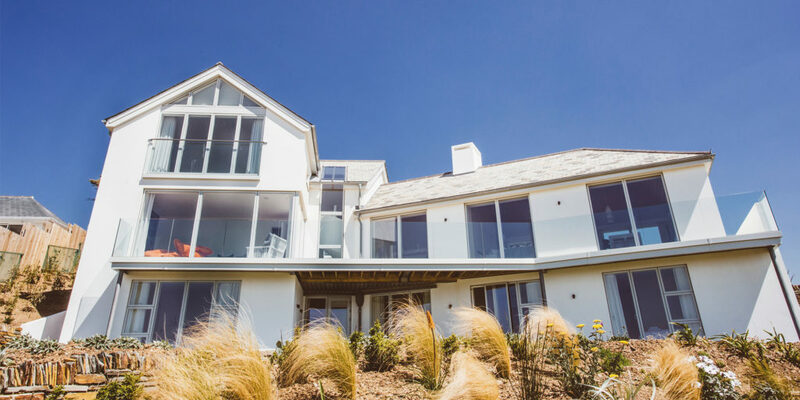 So, make sure to book a stay at Carn Mar and experience the award-winning luxury for yourself. 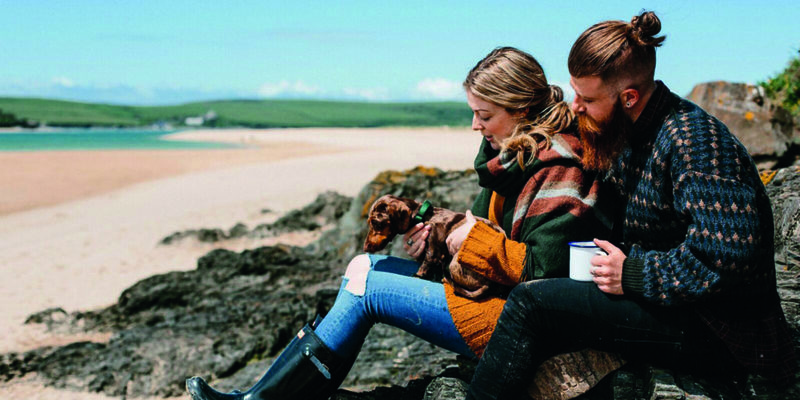 Carn Mar is available to book now for 2019 with short breaks and low occupancy rates available out of season. 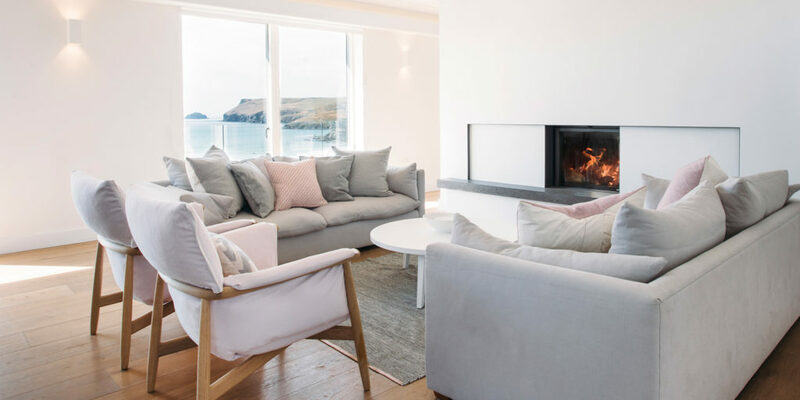 "Carn Mar enjoys a dreamy backdrop of sea and sand from almost every vantage point in the house"